Everlytic’s sophisticated workflows and automatic response emails make lead-nurturing and on-boarding a breeze. Send sophisticated email campaigns that respond to your subscriber’s actions with workflows. 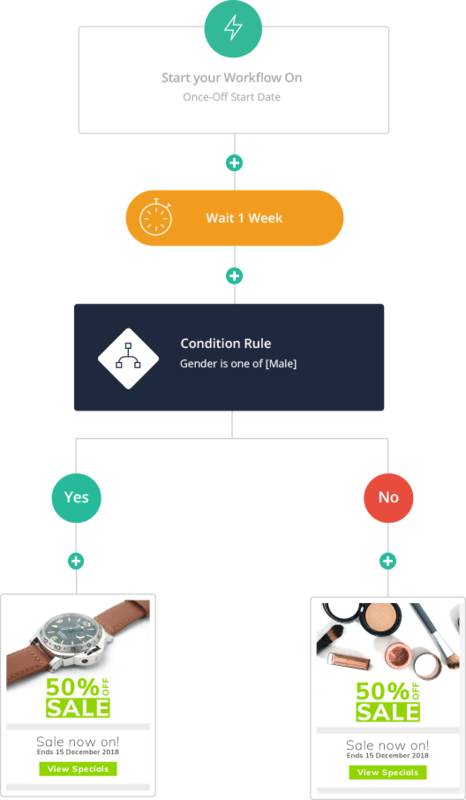 Triggered by subscriber actions or specific dates, the choice is yours. Increase engagement with personalised customer journeys that send the right message to the right person at the right time. Create responsive journeys for customers based on their interests, demographics, and engagement. Everlytic’s triggers and autoresponders enable you to automatically send messages to contacts when they perform a specific action. Send automated welcome mails to new subscribers, or confirmation emails when subscribers click to RSVP to an email invitation. Trigger automatic messages to new and / or existing lists based on variables, including subscription, SMS responses, or profile updates. Time your emails for optimal effect. Whether you need to send messages on birthdays, holidays, special occasions, or simply during business hours, Everlytic’s scheduling tools give you the control you need. 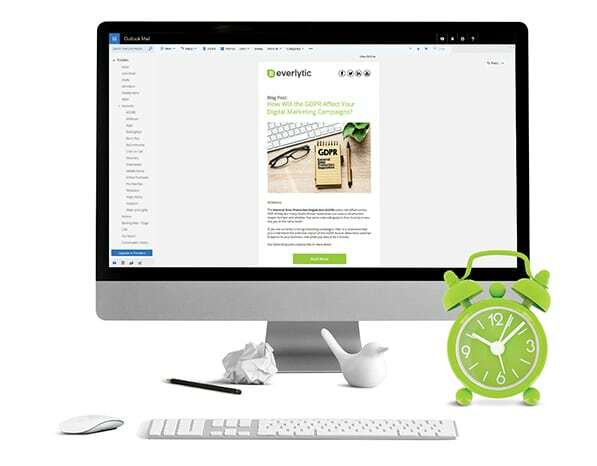 Maximise your email and SMS campaigns with Everlytic’s automation tools.